In Memoriam – Melvin “Pete” Mark Jr. 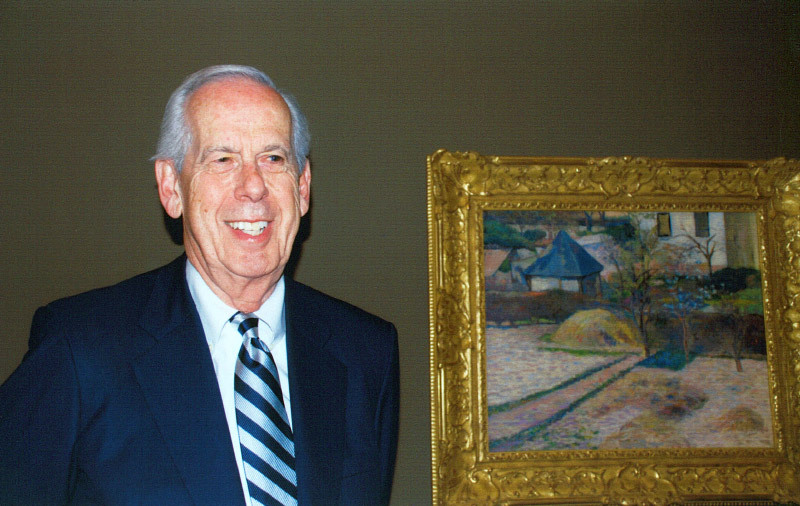 It is with great sadness that the Portland Art Museum notes the passing of dedicated leader and loyal supporter Melvin “Pete” Mark Jr. Pete and his late wife Mary began their exceptional commitment to and investment in the city and its people more than six decades ago. Pete and Mary visited Portland on their honeymoon in 1951, and they instantly knew they wanted to build a career and raise a family here. Pete and Mary were involved with the Museum for more than 30 years, as members, trustees, and Ella Hirsch Society Members. Pete served on the Board of Trustees for over 27 years and as chair from 1990 to 1996. He and Mary were honored in 2008 as Life Trustees, the Board’s most distinguished recognition. Pete was active in all aspects of leadership at the Museum, contributing his time and talent on the Executive, Finance Operations, and two Director Search Committees of the Board. Along with fellow Life Trustees Arlene and the late Harold Schnitzer, Pete and Mary were the most generous supporters in the one hundred and twenty-five year history of the Museum, contributing over $10 million to the institution. Their leadership and capital support were central to numerous capital projects, most notably in his chairing the campaign to support the North Wing expansion and renovation of the former Masonic Temple, which now bears the family name—The Mark Building. Their name also adorns the second floor gallery in the main building’s north galleries in recognition of their support in the 1990s. In addition, their generosity helped underwrite nearly every special exhibition during their tenure as trustees, including Rembrandt and The Golden Age of Dutch Art: Treasures from the Rijksmuseum, Amsterdam (2007), and the recent, widely celebrated Rodin: The Human Experience—Selections from the Iris and B. Gerald Cantor Collections (2017). Pete and Mary were also important collectors of art, and their gifts to the Museum include significant works, such as Paul Gauguin’s Vue d’un jardin, Rouen (1884), Gustave Courbet’s Pommes, poires et raisins (ca. 1871/1873), and Severin Roesen’s Still Life of Flowers and Fruit (1870-1872). Pete and Mary’s extraordinary dedication to the Museum and the city are evidenced every day as visitors experience art in the galleries and community groups gather in the Mark Building’s historic ballrooms. We have lost a remarkable friend to our community, and to my family and me. Pete Mark’s leadership and commitment to making the Museum a better place for the city he treasured, however, will always be remembered through the institution that he loved so dearly.